Save the date! I am taking part in the fourth edition of contemporary craft & design event Handmade at Kew 4-7 October. The Handmade at Kew will celebrate the best in high-end design and craftsmanship from over 150 international and UK-based contemporary artists showcasing gorgeous textiles, jewellery, ceramics, glass, furniture and more. You can visit my stand and see the newest work on F6 Ceramics Sculpture Studio. With innovative design alongside truly exceptional craftsmanship, this is a special chance to invest in beautiful and unique products, most of which can't be found on the high street. Makers will be on hand throughout the weekend to talk about the ideas and processes that shape their work, and visitors can even commission work directly from them. 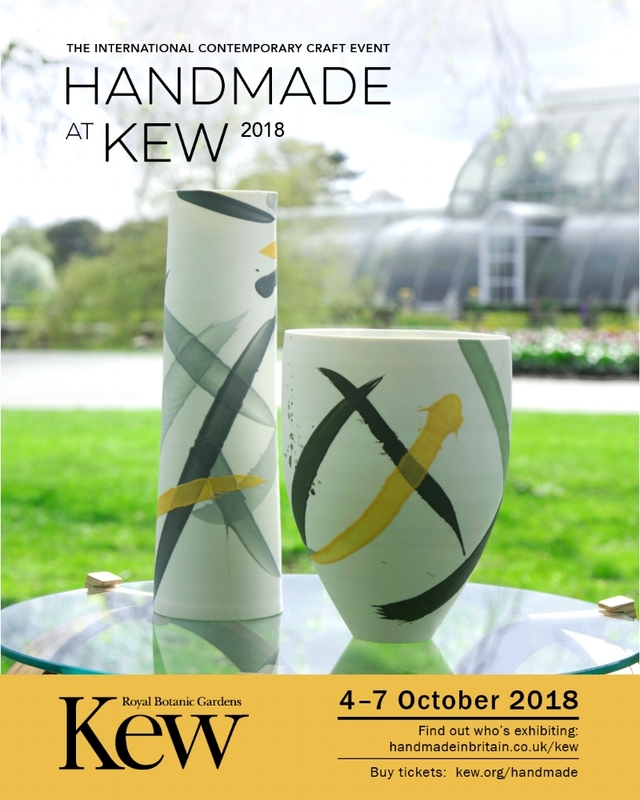 Tickets include access to the whole of Kew Gardens, allowing you to enjoy its beautiful glasshouses and stunning blooms, while browsing, buying or commissioning work directly from internationally renowned craftspeople.